Cocos divers are a committed bunch. (Some might opine that they should actually be committed… to a room with padded walls wearing jackets with sleeves that tie behind you.) First of all, it’s not a cheap investment and there’s the little matter of a two-day sea crossing of nearly 400 miles just to get there. Upon arrival you are afforded the opportunity to be surrounded by hundreds (maybe thousands) of schooling hammerhead sharks. And tuna the size of NFL linemen, mantas, various billfish, dolphin, bait balls, scores of marble rays the size of coffee tables, and a million or so schools of big eye jack and other species I’m still trying to identify. And, of yeah, you’ve got an odds on chance of swimming with a whale shark or two and seeing a humpback whale. I began leading trips to Cocos back in 1996 when we used the Sea Hunter fleet as a proving ground for the first editions of the Draeger semi-closed circuit rebreather. If there was ever a location that was better match for the silent stealth of rebreathers, I can’t imagine where we might look. Cocos had already made its reputation as the best big animal dive region in the world. The advent of affordable rebreathers just made it better. Sort of like initially visiting the wild animals of the African Serengetti from a mile away through a spotting scope and then donning a cloak of invisibility to walk among them up close. Prior to 1996, if you wanted to have any real chance at close encounters with the legendary schooling hammerheads, you were forced to dig in to a nook on the bottom, wait for a wave of sharks to approach, and then hold your breath as long as you could. Once the exhaust bubbles billowed upward, the sharks immediately faded away and wouldn’t return for at least twenty minutes or so. Considering the duration of an aluminum 80 at 100+ feet for the average diver, this pretty much meant one brief viewing per dive. Rebreathers changed all the rules, for both man and fish. Now we could plan dive times of up to 90 minutes at pretty much any depth we wanted without concerns about running out of gas. By careful matching of the supply nitrox gas to the system’s replenishment orifice flow, we could almost completely eliminate any bothersome bubbles from even semi-closed circuit models. So with 18 hardy adventurers in our party we embarked with enough rebreathers and support equipment to bear more than a passing resemblance to a SEAL team invasion force. I remember the scene at the airport customs office as Joe Odom and I attempted to clear thirty some cases of high tech diving gear through a very suspicious agent wearing a uniform out of a bad Lorenzo Lamas movie and mirrored sunglasses. You had to admit that he had a point. I left Odom to explain in more detail why normally rational persons would deliberately place themselves in what he perceived as the pinnacle of harm’s way while I scuttled off to the hotel to arrange a truck to haul our cargo from San Jose to Puntarenas where the Sea Hunter awaited. That day and night passed and no sign of Odom. Visions of Joe strapped to an interrogation chair with a naked 100 watt bulb over his head leapt to mind. Joe was an ex-Air Force spook during the Vietnam era, and I was confident that he could handle whatever came down with aplomb and confidence. Towards the end of the next day he appeared with a signed clearance and all our stuff neatly stowed in the truck. Muttering under his breath something about “Badges? We don’t need no stinking badges!” he climbed aboard with a nod and wink to disappear into the night with our precious cargo. The man gets things done. But sometimes it’s best to not ask exactly how. We had a fantastic visit and eagerly looked forward to our next charters when the phenomenon of El Nino raised its ugly head beginning in 1997. All over the world, things changed. And not for the better. My inquiries with Avi Klapfer, owner of the Sea Hunter fleet, led him to assure me that Cocos would recover before I arrived that summer. My dear friends Howard and Michele Hall had already done two lengthy trips to Cocos on the Undersea Hunter when I bumped into them at the Boston Sea Rovers in mid-March of 1998. They were in the process of filming an IMAX film called “Island of the Sharks”. “So Howard, tell me about the conditions in Cocos,” I asked hopefully. Howard is one of those sincere individuals who chooses his words carefully and then articulates a considered response. “Bret, I’ve never seen anything like it this year. We’ve been down there now for a total of 44 days of diving. It’s never rained. the sun shines every day, it’s flat calm, and the water temperature is about 88 degrees from the surface down to around 175 feet. And the visibility has been nearly 300 feet on some days, ” he related. I suddenly felt a whole lot better. Here was Howard raving about all this stuff when we thought conditions were going to be a disaster. “Oh, we haven’t see a shark the whole time we’ve been there. Or a manta. Or a bait ball.” he noted ruefully. Since Howard and Michele were running a budget in excess of five million dollars on the IMAX film they were making, the lousy couple of hundred thousand that I had committed to my charters seemed insignificant by comparison. Howard fixed me with a look you might give a mumbling drunk on a New York subway. “Yeah, the pigs are still there. And I think they miss you.” Well, at last something was still right in my universe. Howard tried to cheer us up. “Don’t worry, Avi promises it will get better.” Michele, who handles the role of producer and thusly is responsible for much of the financial side of things for Howard Hall Productions, gave me a look that implied that if things didn’t get a whole lot more exciting by the time both our teams rendezvoused in Cocos in August that she would probably be filming a segment on the ritual castration of Avi. But on the voyage outward we were heartened to get a radio message from Michele that they had seen some hammers that day and that the deeper water was getting colder. The next morning reported some good schooling activity and our spirits lifted. We dropped anchor in the lee of Chatham Bay and organized our dive teams. Instruction on the Drager rebreathers, newly named the Dolphin I, had been on-going for our passengers direction since they boarded and now we would prepare our eager divers for their first plunge into Cocos’s waters. The first dive confirmed that the underwater universe of Cocos had been restored to order. We were dropped on the west side of Manuelita and within minutes had seen our first group of hammers, numbering around 20 and meandering slowly by the island’s steep rock face. We were elated and elected to drift around the north side of the island in the raging current that swirled into alternating vortexes and eddies. Currents at Cocos can be nearly nonexistent or death defying. They can feature velocities in excess of six knots along with sudden reverses of direction and, at times, violent downdrafts. And they can do all these neat things in the course of one dive. The current was mild on the western face of Manuelita but funneled into a sustained rush as we eased ourselves around the corner. In an instant we were sucked out into the blue with only a distant visual reference to the precipitous rock face. And we were surrounded by sharks. 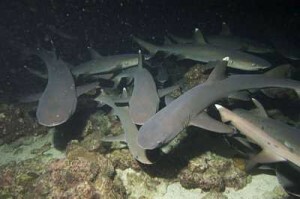 Even the normally pedestrian white tip reef sharks were now aggregating in schooling swarms. I pointed out a group of nearly a hundred on the move and off the bottom. The sometimes nasty dispositioned silky sharks patrolled the edges of two giant schools of jack and a small bait ball. As the school of jack opened to let us through we exited into more hammerheads than we had ever seen. Although once you have spent time swimming with the hammerhead schools, a certain detachment tends to take over. In the past we had felt that the sharks were exhibiting behavior that, at least to some extent, was predictable. With rebreathers we had the luxury of greatly extended life support allowing us to extend dives well beyond the capabilities of open circuit gear and to include as much decompression as our profiles might dictate on the fly. And the sharks pretty much seemed to ignore our presence if we remained unobtrusive. But on this first dive I inwardly admitted that my thoughts briefly contemplated whether these were the same sharks that had seen divers before over the years and understood that their role was to be fearsome looking but to leave us alone. Because there were just so damn many of them and now we were well away from the island and rocketing along in a current that made Cozumel’s best efforts look like a cakewalk. What if the El Nino had somehow altered their behavior? What if they were only beginning to feed on the restored food source? What if they decided that the old rules didn’t apply and that we could be sampled as so much sushi on the hoof? Yeah, we shared a couple of anxious thoughts and one or two quick visual checks to make certain that the other dive team members were still there in one piece, but basically the sweeping spectacle of hundreds of sharks from eight to fourteen feet in length moving past us scant inches from our face plates moved our priorities to camera work and away from consideration of mortality. We drifted completely around Manuelita and nearly two miles beyond to the east before the parade of hammers subsided. We surfaced together and looked hopefully for the panga to recover us. Way off in the distance we could see our boatman scanning the horizon… in the wrong direction. A couple of blasts on my Dive Alert sonic alarm got his attention (note: do not leave home without this device) and ten minutes later we were aboard. On the first day of our scheduled month long expedition Avi had confirmed his prediction that the marine life would make a dramatic return following the waning of El Nino. It was better that it had ever been. And it would get better. We always chose to go to Cocos in August because it had historically proven to be the peak period for hammerheads. It also happens to be smack dab in the middle of the rainy season. And you have never seen rain until you’ve been to Cocos. Later that same day our panga transited nearby another that was supporting Howard Hall’s IMAX film crew. But it was raining so hard that we couldn’t talk to each other even though Howard was only about a boat length away. He noted to me later,”I read somewhere that it rains over 24 feet annually here in Cocos. I think that might be an understatement.” Personally I think it might rain 24 feet just during the month of August. I don’t believe that I ever saw film crew members Bob Cranston or Mark Thurlow completely dry at any time that month… even in the evenings for dinner. 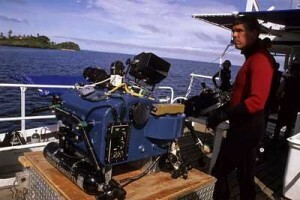 Lance Milbrand, the strapping Nordic guy who hauls the IMAX camera around underwater for Howard, confided that his yellow rain parka had become his most valued piece of gear. So I guess his trusty inflatable doll was getting a rest. Incredibly, periods of intense sunshine are typical between downpours and the trick is working whatever mojo you can to give you some light when you’re diving. Everyone in our crew decided to forever forego sunshine when we were on the surface if we could please get f-stops over 2.8 when we were underwater filming. And just as incredibly, it seemed to work out that way for us. We seemed forever blessed with nearly ideal conditions when it counted. Most of our less stalwart members elected to sit this one out. But as five of us grimaced through the bullets of rain heading towards Dos Amigos, the sky suddenly cleared and, as we entered the water, uninterrupted beams of sunlight blazed over the dive area. Of course, the dive was fabulous and we were greeted with encounters by tuna the size of NFL linemen, a prolonged bait ball spectacle, and hammerheads by the hundreds. That dive sealed our pact that no matter how bad it looked when we began to gear up at the Sea Hunter we had to go. And more often than not we were rewarded with spectacular results. Perhaps our best single dive occurred during the second ten day voyage when we decided to take both pangas to Alcyone sea mount after leaving it alone for Howard and his crew for several days. During that time Howard had been treated to exceptionally rough surface conditions, pouring rain and dark water conditions from the constantly moving cold water layer that fluctuated wildly. Howard reported getting set up for shots only to be enveloped in the dark green layering thermocline that quickly reduced visibility to an oily haze as the cold water mixed with the clear warm water. And we’re talking as much as 25 degrees difference in temperature. Not exactly conditions ideal for filming. After a couple days of this torture, Howard elected to try another site and we decided to try our luck at Alcyone. The rain started as soon as we began loading gear into the pangas. And got heavier as we eased around the point into the open ocean. But although the anchorage was heaving from the north swell, we found calm water on the thirty-minute run down to Alcyone. Along the way the rain eased and the sun came out. Arriving at the site Eric Gilbert, Sea Hunter’s divemaster, dropped in to set the anchor and immediately surfaced to report that a large whale shark was swimming over the area. A half dozen of us rolled into the sea and had the beast swim right up to us. I fired off about twelve frames in one camera body and left Mr. Big to the eager divers in our group who had never seen a whale shark before. Settling onto a ledge at 120 feet on the east side of the mount, I was treated to a non-stop procession of hammerheads that flew over, around, and between me and other divers for the better part of thirty minutes. We decided to head off in search of the ascent line when the whale shark re-appeared around sixty feet. Eric was in perfect position with his video rig and racked some extraordinary footage as we cavorted with the shark for nearly another twenty minutes. Finally, well into deco and with the light retreating, we eased into place and clipped into the ascent line. Relaxing in the mild current I did a mental count of divers from my boat and noted that one was still unaccounted for. A short while later he appeared in the deeper zone and was nearly run over by our newest best friend, the whale shark. We quickly took stock of our situation. Both of us were into deco but had plenty of gas in our rebreathers to allow some more swim time. We both had film left in our cameras. And everyone else was either out of the water or committed to decompression that they couldn’t break off. It was perfect. One whale shark, two of us. Kinda like that 1969 evening at Woodstock with Felicity, the psychedelic flower child. I adjusted my descent to intersect the shark as the other diver swam under his body into position. It was as good a photo opportunity as any diver can hope for. We spent a half hour with that curious animal as he led us all over Alcyone inviting us to swim within inches. At one point we broke off when I ran out of film and started to swim back to our decom line. The shark followed us and deliberately re-established contact. I had swum next to his huge pectoral for several minutes without touching him. My buddy had positioned himself just a foot or so ahead of his gaping mouth and was rapidly finning backwards while firing away with his digital camera. Although the shark was swimming slowly it was still getting to be one hell of a workout to keep up with him after this long. Without warning he altered his course and I gently pushed myself away with my free hand. He seemed to like the contact and I scratched a spot on his back. He slowed and continued to turn into my swim path. I figured, what the hell, he likes contact. So I eased my left hand onto the pectoral fin while massaging his back above the gill plates. Now he was towing me effortlessly at a speed that I could only barely manage swimming on my own. He chauffeured me through the area with my buddy madly swimming ahead scrambling for photos. After about the third loop around Alcyone I eased my way clear and began my ascent to enter the long decompression. Even then the shark stayed with me and continued to circle me on the deco line. My partner arrived a few minutes late completely exhausted and we both gathered our wits as this magnificent animal kept us company. Only when we pushed away for the surface did he finally break off with us. On another expedition a few years later, a last minute opening came up due to illness with a confirmed diver, we accepted a lady named Dona Jones as a replacement. A resident of Ennis, Montana and an active diver, she grabbed the last spot with less than five days before departure and would undertake the TDI certification course for the rebreather while on board. To ease her transition, the Sea Hunter’s diving supervisor, Mario Arroyo, went to great pains to show her video clips of what to expect. This included an exciting stream of footage showing the thrashing mating rituals of white tip sharks. After watching the segment in which the male shark bites down on the female’s pectorals to ensure his grip during the mating act, Dona inquired as to why it was necessary for the male to be so violent. Mario summoned his most scholarly demeanor as he attempted to explain “Shark Mating 101” to his student, “Dona, you must understand that sharks… they have no hands.” We all figured that he was starting from a pretty basic position of animal science and left him to progressively amplify the nuance of shark foreplay. Dona seemed spellbound after some initial hesitation. Whether or not the live action lived up to Dona’s vivid fantasies was a question answered after her first dive off Manuelita when she was treated to her first experience viewing wave after wave of hammerheads. She was, to further strain a metaphor, hooked. Howard Hall films bait ball with feeding silky sharks for IMAX film "Island of the Sharks"
The bait ball phenomena is one of the more unique thrill rides associated with Cocos. The name derives from the defensive action of small fish that form into a rapidly swirling ball to appear larger and ward off predators. 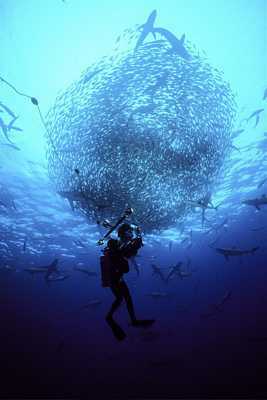 Several films, including Howard Hall’s stunning IMAX masterpiece Island of the Sharks, depict this wild frenzy. It usually can be identified from the surface by the activity of diving sea birds that also feed in the school. Underneath, the action is electrifying as tuna, dolphins, and sharks all converge to feed in violent lunges until the entire bait ball is consumed. It’s not for the faint of heart but offers the diver an unbelievable observation point of nature’s Darwinian theory in real time. Cocos is a unique and totally wild diving resource that is simply the best place in the world for big animal encounters. We even had a mother and calf humpback whale several days in a row on our way to Alcyone. Although it’s hard to pry yourself away from the underwater experiences, the terrestrial side of Cocos presents a remarkable opportunity for hiking the islands jungle trails, visiting the various blue footed booby rookeries and other exotic bird species, or simply relaxing in the bathing pools created by hundreds of waterfalls cascading from the steep cliff sides. If your budget can afford the fare, do yourself a favor and get to Cocos to see this underwater Disneyland yourself. Then get prepared for the time of your life. It’s the most fun I’ve had without getting naked in as long as I can remember. You get a $5 discount if you already understand that “sharks… they have no hands.” We need more impassioned ichthyologists. @Moshe: Try it now — the new WordPress seems to have fixed those problems. Moshe: Yes, we know of the problem. We need to upgrade the underlying software (WordPress) used here. It’s on my list and hopefully I can get to that soon. apparently the big treasure around this island now is the underwater life and diving experience unparalleled elsewhere. my grandfather wrote about it as a result of his travels to cocos island by schooner at the turn of the 20th century in his resulting manuscripts. the purpose of his trip, however, was quite different. My experience has been that a far better time is had at Cocos and Malpelo than in the Galapagos (including Wolf and Darwin). I’ve been going to these places for over 25 years. Malpelo recently had an incident of wholescale slaughter of some of its sharks by fishermen but I’m not aware that it has been closed to diving. 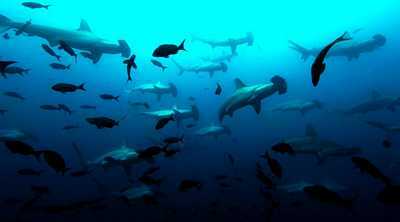 Your best bet is still Cocos for its consistent and varied shark and pelagic populations. Be sure to inquire with the vessel operator first about support for rebreathers… some have scaled back such operations and no longer offer training or units. 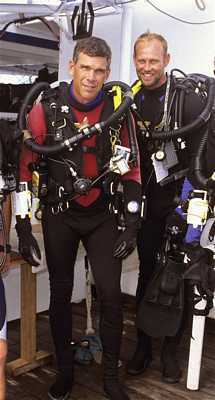 But I think if you arrive already trained and experienced with your own rebreather unit, the can accommodate you. It’s well worth the trip! Great read. The diving sounds like Wolf & Darwin in the Galapagos. But friends who’ve also dived Cococ (& Mapelo), say the quantify of pelagics is greater at Cocos/Mapelo. Is it true you can’t go to Mapelo anymore?? I’d love to try the closed circuit system esp for photography. It would be so cool to not scare the critters. Or have bubbles interfere with a good shot. Yes, My first trip with Bret Gilliam was truly amazing…and the ones to follow, equally fantastic, but I hugely miss the rebreather and what freedom that allowed the scuba diver. I remember complaining about aparatus, (maybe cause I’m a complainer (? )…and maybe cause how seasick I was, til that kind doctor….well you know 1/2 a patch for her)…The first few minutes diving with the re-breather converted me…I wanted to buy one right there. The fact that fish would come within milimeters of my face truly made me a happy converter to the Drager way. I wish every dive was a rebreather dive…I loved the Solomons too, and want to return to the Bilikiki…The Oceans need to keep alive, it is sad to think that the fish are disappearing, as I saw first hand diving off Burma…we chumed for sharks, one came and didn’t even want to eat!!! I kept laughing in my regulator…but, really it’s not so funny. Good thing the Thai food was fantastic on the Ocean Rover, and the crew so nice, and the boat…simply incredible. I’m much more wise about mating sharks, (thanks Manuel!) and realize now, after much soul searching…it’s just the testosterone!!! Happy Diving and make some bubbles for me!! !Peace Love and Scuba!!!!! Dona ps. it’s like 4 degrees farenheit! Reading this stuff gives me a hotflash! The good news is that over the years the hammerheads have become more tolerant of open circuit divers. 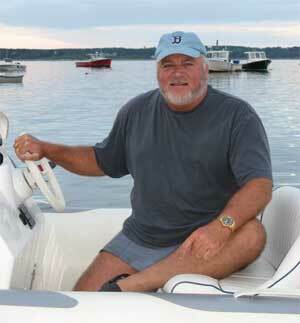 I’m glad you have had a great time and I know that the Undersea Hunter crew would have taken good care of you. It’s a truly unique experience and you are one of the lucky few to have seen it “up close and personal”. You’ll remember it forever! I’m sure CCR is fab, but my May 2007 trip with UnderseaHunter using Open circ with Nitrox was totally amazing ! Getting within 10-15 feet of schools of 10-40 Hammers is not looking with binocs. As usual, Bret writes a good yarn. I went to Cocos four times with CCR and once with open-circuit scuba. I won’t be going again with OC.